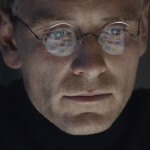 The poor opening weekend (and subsequent ticket sales) of the Aaron Sorkin-penned "Steve Jobs," starring Michael Fassbender, is no secret. We’ve talked about the problem before, noting that in November, the biopic was pulled from some 2,000 theaters in the United States. Now, director Danny Boyle has weighed-in on the financial failure of the picture, which had been expected to gross impressively before its dreadful opening weekend sales figures went public. During a recent public appearance, Boyle referred to the film’s release strategy as "arrogant," noting that this, he feels, is the reason behind the movie’s ultimate demise. In a Business Insider article, Boyle’s comments were published. "We were arrogant to release it very wide, very quickly," the director said, referring to the picture’s Oct. 23 wide release (which came two weeks after its premiere in New York and Los Angeles). Instead, the movie’s original release plan, which saw the picture spend more time appearing at select venues across the United States, would have drummed up essential public interest in the film. But this didn’t happen. 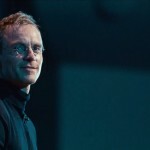 So far, sales have been particularly poor, and "Steve Jobs" is said to have made just $7.3 million in its opening weekend (a far cry from the anticipated $15 million analysts had predicted). Because of this, "Steve Jobs" was indeed pulled from a large number of U.S. theatres, leaving the movie playing in just a handful of venues. The movie, of course, was strongly opposed by Jobs’ family, and in particular by the late co-founder’s wife Laurene Powell Jobs. Apple was also against the picture, too. "Steve Jobs" is a three-act movie dealing with the crucial moments before the Apple CEO introduces a new product on stage. It’s meant to shed light on the man behind Apple, dispelling Jobs’ public image and giving fans a glimpse of the real co-founder, warts and all. Aside from Fassbender in the title role, it also stars Seth Rogan as Apple co-founder Steve Wozniak and Jeff Daniels as John Sculley.